The theme of Aleksandar Pribicevic’s densely composed figures in his paintings is a portrait of esoteric meaning of mythic symbols, a closure of the crevise between archetypes (pre-experiences) and reality. He intends to shift the focus from the ego-concentric notion of the world to introspective being, “to light up the mechanism of our dark nature” as Pribicevic says it. 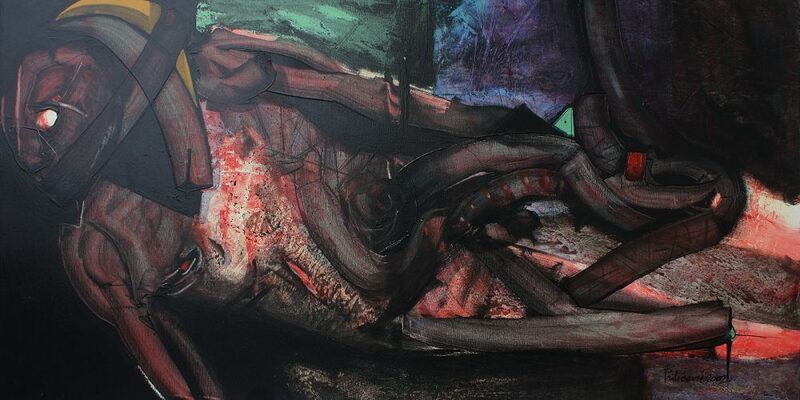 His dark hues and dynamic forms, with accentuated areas of color have a specific symbolism, and it seems as if the artist is following an unusual formula of placement, to bring the very essence of his experience into painting which seems almost alchemical. 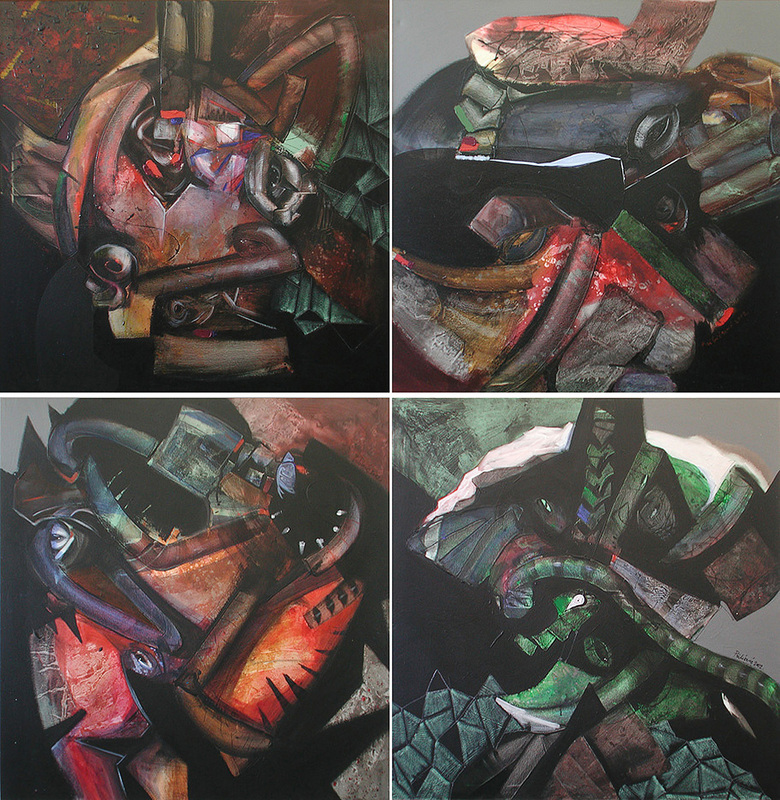 The composition “Four elements” consists of four paintings arranged in a square to represent the symbol of material wholeness, harmony adjacent to chaos; steps of unconscious nature towards the conscious world.